Welcome to the last day of Holiday Spirits Theme Week, and the first day of ABC Theme Week. I'll be working my way through the chocolate alphabet, starting with items that begin with A, B, and C. This week ABC stands for the following three fruits: Apple, Baobab and Cranberry. 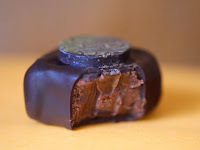 Today's "Applause" Apple Brandy chocolate was created by flying noir (Oakland, CA). 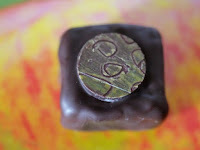 Covered with Kallari dark chocolate, this piece had a nice flavorful center with layered, adult caramelized apple flavor. 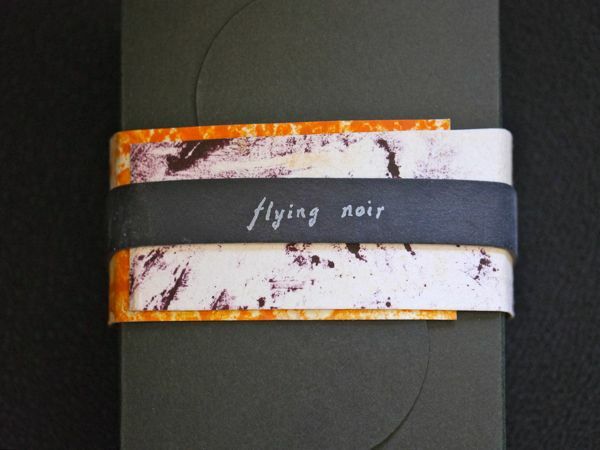 The Applause filled chocolate was part of flying noir's "spirited" collection.